Public health officials, politicians, and smoking researchers cheered the Wednesday announcement from CVS Caremark that they will stop selling cigarettes and other tobacco products at CVS pharmacy stores by October. President Obama, a former smoker, said CVS is setting a “powerful example” and that will help public health efforts to reduce smoking-related deaths and illnesses. The American Public Health Association called it a “historic decision,” and the American Association of Cancer Research called it a “visionary move.” Dozens of other anti-smoking organizations and medical organizations—whose physicians treat the lung cancer, emphysema, and heart disease caused by smoking—proferred their approval and hope that other big chain pharmacies would follow suit. Whether the CVS decision will result in fewer smokers remains unknown, said Margaret Reid, who directs tobacco control efforts at the Boston Public Health Commission, but added that it will certainly make tobacco products less readily available to smokers. When Boston implemented a ban on tobacco sales in pharmacies five years ago, it resulted in 85 fewer tobacco retailers in the city—about a 10 percent drop in the number of places permitted to sell cigarettes, cigars, and chewing tobacco. CVS will no longer have its tobacco “power wall”—colorful displays of the various brands lined up behind the cashiers—that often trigger the urge to smoke in those hooked on the habit. “Like any addictive drug, just seeing cigarette packs can cause cravings,” Reid said. 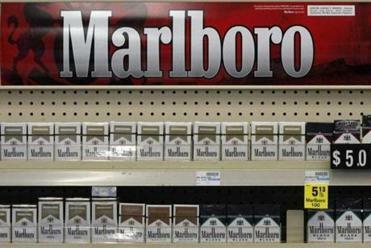 The R.I.-based chain, which will stop selling tobacco products Oct. 1, expects to lose billions annually from the move. A 2012 report from the non-profit Center for Public Health and Tobacco Policy at New England Law determined that the product displays in pharmacies and convenience stores “are highly engineered by tobacco companies to maximize visual intrusiveness and instigate impulse purchases.” And a recent study in the American Journal of Public Health found that middle schoolers who were exposed to these power walls at least once a week were 50 percent more likely to start smoking compared to those who weren’t. But Dr. Michael Siegel, a tobacco researcher at Boston University School of Public Health, said he doubts the CVS ban will lead a lot of smokers to quit since “they can buy their cigarettes at other places,” such as gas stations and local convenience stores. Where it will likely have an impact: putting pressure on other big chain pharmacies to follow CVS’s lead.